LAS VEGAS—The future got ahead of our innovators and government policymakers this past weekend at the Consumer Electronics Show in Las Vegas, leaving many wondering about the world being ushered in by the confluence of smart sensors, big data, and artificial intelligence. Across the main show floor, CES stayed true to its reputation for introducing mind-boggling innovations. 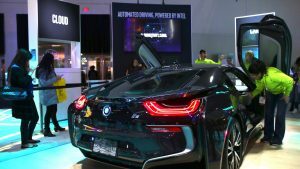 From driverless cars and a wide array of robots, to sensor-filled smart homes and virtual reality systems unlike anything you’ve ever seen before, walking around the CES convention floor was like experiencing the future at almost every turn. There was even an EEG contactless brain control sensor that allowed a gamer to control the speed of a car in a game with his mind. But across town, at the CES Government Symposium, the conversation was notably different. 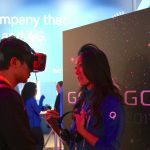 While the main CES show may have experienced a sense of common purpose in innovation, the government sessions and roundtables revealed a very real division between the world views of the innovators and the policymakers. The conference also introduced many–for the first time–to the dystopian future that has a very real possibility of becoming reality if policymakers get it wrong when it comes to the merger of Internet of Things (IoT), big data, and artificial intelligence. What does this really have to do with? Well, it’s not so much the scary fact that that within 10 years computers will have digital senses that will outperform humans, or that within that same time frame artificial intelligence will reach general intelligence levels. And it doesn’t really have to do with the fact that artificial intelligence-based systems controlled by our foreign adversaries will pose the greatest risk to our national security and safety, and that the only viable countermeasure will be like-minded AI systems. None of that matters more than the fact that the combined power of IoT, big data, artificial intelligence, and deep learning is already beginning to cause massive disruptions in the labor market. It seems that God may be in the machine, but He’s not hiring. Good, old-fashioned jobs will be the single most important factor in whether this brave new world of IoT sensors and artificial intelligence creates a better world or a world in which people revolt against continued technological advancement. The signs are already there. Yes, deep learning systems are beginning to deliver on the promise of major breakthroughs in health and science. But automation is on a trajectory to displace workers faster than it can find new roles for those workers. Recent studies already place 47 percent of jobs at risk of being automated. The more efficient technology makes our economy, the less we need to rely on people. And this has major implications. Participants at the CES Government conference opened the weekend with an honest discussion of these potential futures, with technologists focusing primarily on the new efficiencies of tomorrow’s IoT and AI-enabled manufacturing processes. But at least some of their government counterparts were less sanguine about the world’s inevitable tech future. For them, the immediate priority became working out policy positions on very sticky national debates. What will it mean to have a job or lose a job in this artificial intelligence world? Nobody really had an answer to those most fundamental questions. What most did agree on is that the challenges of finding educated workers to fill the few, but still necessary, jobs of the future will get tougher. But what about the massive dislocation of blue collar workers? Where do they go? What do they do in this new era? How do they earn a living? In a nation where job loss or gain is measured in the hundreds of thousands, some have actually proposed that policymakers begin thinking about the notion of paying people a basic living wage for doing nothing. How else to stave off the turmoil and upheaval that will almost certainly accompany such a cold, technological future? This only begins to touch upon the very real fears about AI voiced by some of our tech visionaries, like Bill Gates, Stephen Hawking, and Elon Musk. From “summoning the demon” to spelling “the end of the human race,” our brave new AI world will certainly be more efficient. But that efficiency will come at a steep price if we don’t start thinking about the regulatory framework now.